Located on U.S. Highway 385 just south of Levelland, the Levelland Municipal Airport boasts one of the best runways and supporting facilities of any General aviation airport for a city of its size in Texas. With a First class runway over 6,000 feet long, almost any aircraft short of a commercial air carrier can easily be accommodated. 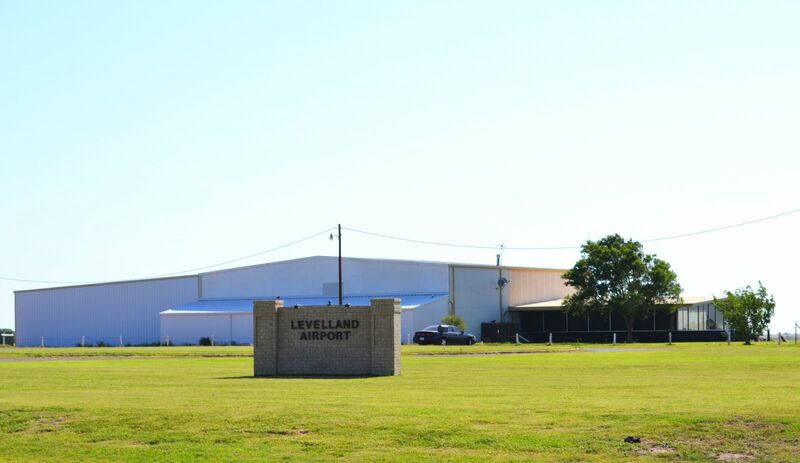 Levelland Aero Service, Inc. serves as the fixed base operator for the airport owners, the City of Levelland and Hockley County. Levelland Municipal Airport is fully equiped and handles all General Aviation Needs. Lubbock Preston Smith International Airport (LIA) has more than 60 commercial arrivals and departures each day that serve 1.2 million business and leisure travelers annually with service through Southwest Airlines, American and United Airlines. Through LIA, it is easy to access major markets in the United States and abroad. Several freight carriers offer service at LIA. FedEX and Airborne operate regional distribution centers at the airport's WestPort. The U.S. Customs Service has an office on the property, while the airport has been designated as a U.S. Port of Entry. Located 45 minutes east of Levelland on 3000 acres of property adjacent to I-27, the airport operates a 220,000 square-foot- passenger terminal building and has three runways. Air traffic control services include a 24-hour FAA control tower and a full range of instrumental approaches.